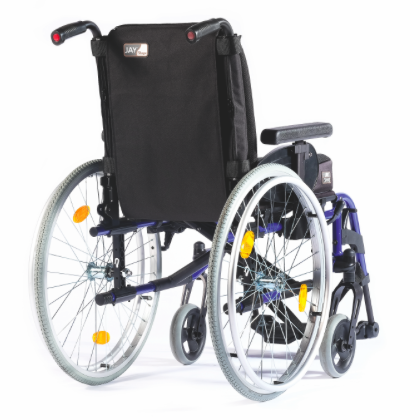 Premium tension adjustable backrest for greater support and comfort. Combining a highly adjustable strap system with a soft and breathable upholstery, the JAY Shape is a lightweight and foldable solution for fixed or semi-reducible spinal postures. 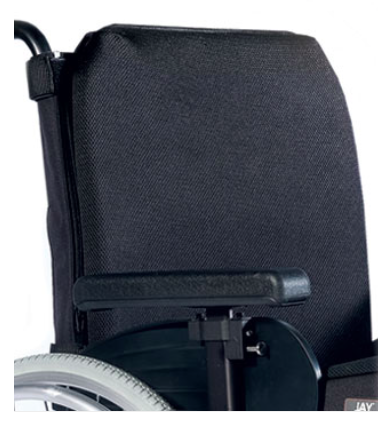 The lateral supports maximise the benefit of this backrest when a more complex, non-symmetrical support surface is required. 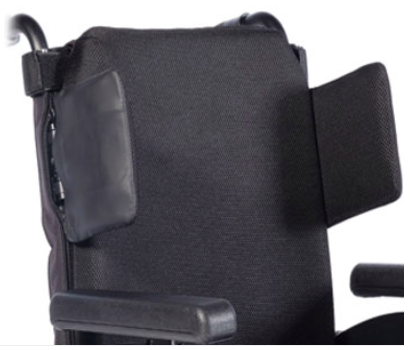 The backrest can be customised with spine alignment components for maximum surface contact to optimise the pressure distribution and support for fixed postures such as kyphosis, scoliosis, hyper lordosis or rib cage asymmetries. The JAY Shape wheelchair backrest offers a quick and simple field-adjustable strap system. Wide straps facilitate the adjustments and provide a stable and comfortable support surface. The two vertical zippers allow easy mounting onto the backposts and mounting of laterals at the backposts without interfering with the strap system. This ensures a greater compatibility for more complex postures. 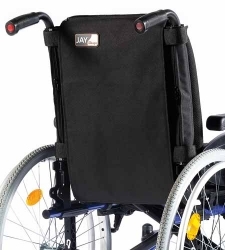 The JAY Shape wheelchair backrest is available with lateral supports for advanced trunk positioning to correct or support a lateral collapse or scoliosis. The lateral supports are multi-adjustable in angle, width, depth and height which allows them to be precisely positioned for each individual. 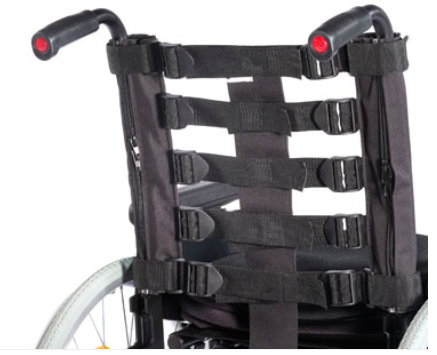 The clamps are compatible with most common backrest tube sizes.